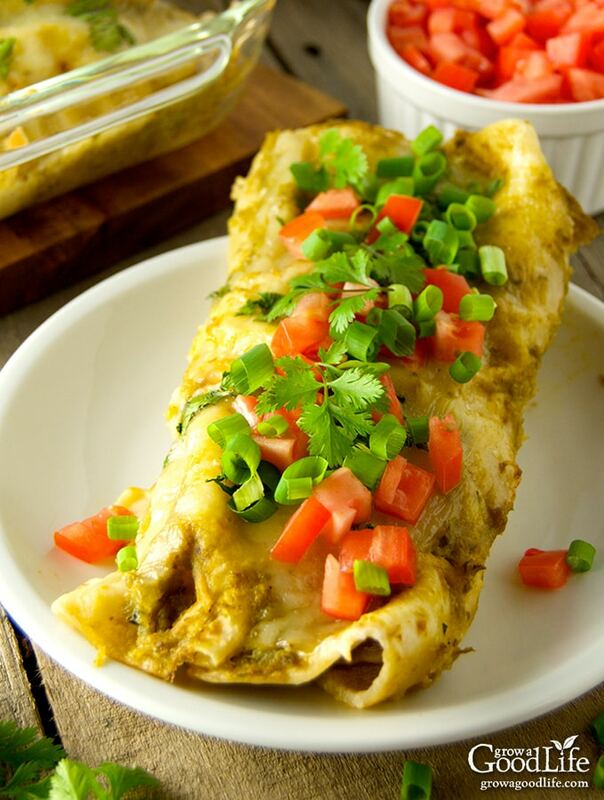 Chicken enchiladas with roasted green chile sauce is a delicious meal option when you’re craving Southwestern-style comfort food. The mellow spicy flavor of the Anaheim or New Mexico type peppers pairs well with shredded chicken and Mexican spices and cheese. This recipe for chicken enchiladas is very forgiving. You can substitute pre-cooked, leftover chicken, turkey, or any type of meat for a different twist. I often use my slow cooker to cook the chicken filling, but it can also be cooked in a covered skillet on the stove. I provide directions to both ways in the recipe below. Although traditional enchiladas are made with corn tortillas, we enjoy them with my homemade flour tortillas. Feel free to use your favorite store bought tortillas. Warming the tortillas will make them more pliable and easier to roll. 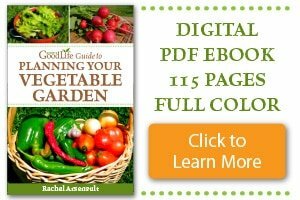 I have two salsa recipes that I use often, Grilled Tomato Salsa and Garden Fresh Salsa. 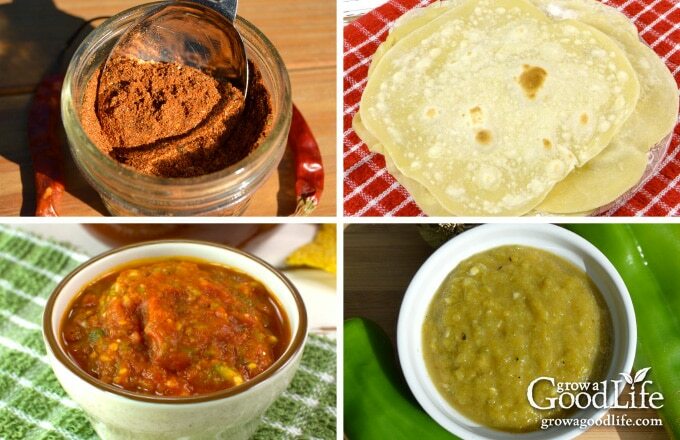 If you don’t have salsa on hand, substitute about 1/4 cup of chopped onions, 1/4 cup chopped green chile peppers, 1/4 cup diced tomatoes, and 2 cloves of minced garlic. 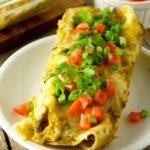 This chicken enchiladas recipe is my favorite way to use homemade green chile sauce made from garden grown peppers. If fresh or frozen chile peppers are not available, feel free to substitute jarred or canned green chile peppers. 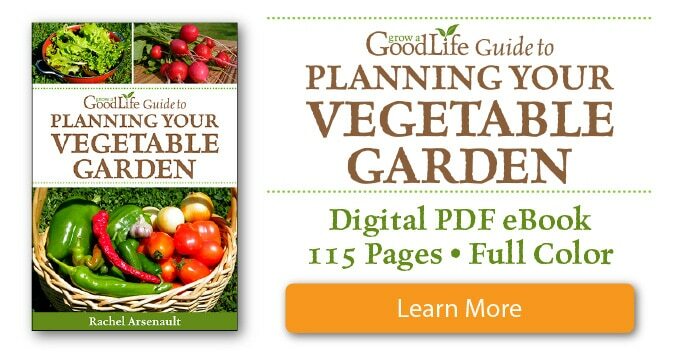 Prepare the roasted green chile sauce ahead of time or while the enchilada filling is cooking. Rub the chicken breasts with the taco seasoning mix and place in the slow cooker crock. Add the salsa and chicken broth. Cover and cook until the chicken is done. Remove the cooked chicken and shred by placing two forks back to back and pull the meat apart. Return the shredded chicken to the slow cooker and add green chile sauce, sour cream, lime juice, and cheese. Stir to combine, cover, and keep on low until ready to use. To assemble your chicken enchiladas, spoon the filling on top of each tortilla, roll up, and place seam side down in the baking pan. Repeat until all the chicken enchiladas are filled. Top with the green chile sauce and the remaining shredded cheese. Cover the pan and bake until done. 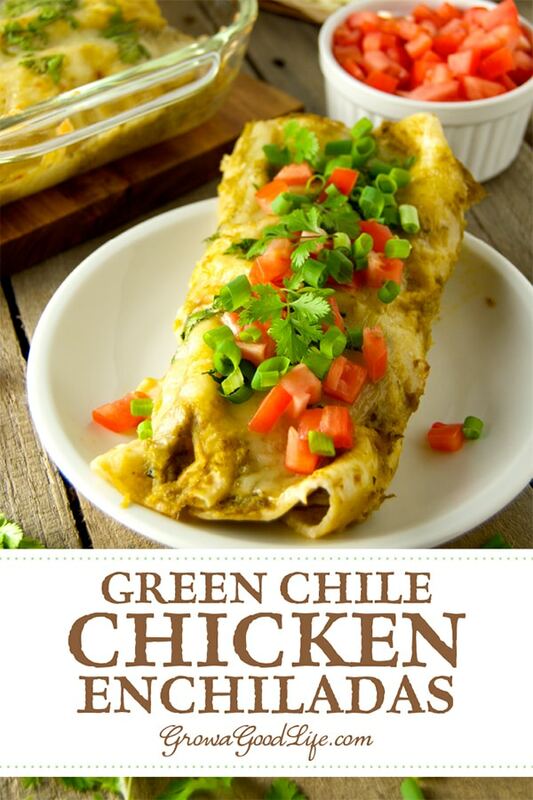 This recipe for chicken enchiladas with roasted green chile sauce is a delicious meal option when you're craving Tex-Mex style comfort food. Rub the chicken breasts with the taco seasoning and place in the slow cooker crock. Add the salsa and chicken broth. Cover and cook on low 7-9 hours (high 3 to 4 hours) until chicken is cooked. Remove the cooked chicken from the slow cooker and shred by placing two forks back to back and pull the meat apart. Return the shredded chicken to the slow cooker and add 1/4 cup of the green chile sauce, sour cream, lime juice, and 1/2 cup of the cheese. Stir to combine, cover, and keep on low until ready to use. In a large skillet, over medium heat, heat about 1 tablespoon of olive oil. Rub the chicken breasts with the taco seasoning. Add the chicken to the preheated skillet and brown for 6-7 minutes each side, or until done (juices run clear and not pink remains). Remove the cooked chicken from the skillet and shred by placing two forks back to back and pull the meat apart. Return the shredded chicken to the skillet and and add 1/4 cup of the green chile sauce, sour cream, lime juice, and 1/2 cup of the cheese. Stir to combine, cover, and keep on low until ready to use. Preheat your oven to 350º F. Add about 1/2 cup of green chile sauce to cover the bottom of a 13 x 9 inch baking pan. Spoon about 1/2 cup of the chicken enchilada filling on top a tortilla, roll it up, and place it seam side down in the baking pan. Repeat until all the chicken enchiladas are filled. Top with the green chile sauce and the remaining shredded cheese. Cover the pan tightly with foil and bake in a preheated oven for about 20-30 minutes. Uncover and bake for an additional 10 minutes until the cheese melts and the sauce is bubbly. Remove the chicken enchiladas from the oven and let it sit for 5 minutes before serving. Serve with your toppings of choice along with a dollop of sour cream.